I’m not sure if it’s the result of boredom, burn out, or pure coincidence, but lately I’ve found myself exploring new builds and playstyles in both Heroes of the Storm and The Secret World. 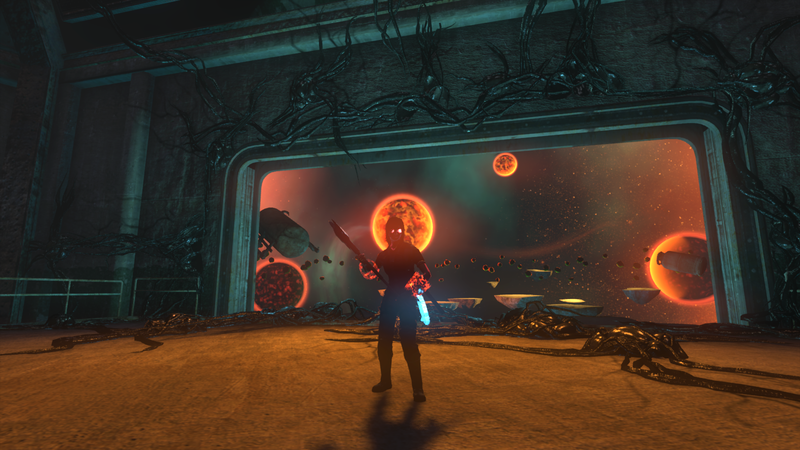 Of course, experimentation is part and parcel of the Secret World experience, but lately I’ve been doing more of it than usual. I’m not sure what prompted it, but I suddenly got it into my head that I wanted to be able to fulfill all three group roles on both my endgame characters, the Dragon and the Templar. Perhaps it’s because I’ve been running so many more dungeons since the group finder launched. See, up until now, I had consciously limited myself to two roles per character, DPS and something else. My Dragon was a healer, my Templar a tank. Partly this was because the work required to build and maintain three different group builds and gear sets was daunting, and partly because I wanted to maintain distinct character identities despite the game’s lack of classes. But I came to the conclusion I could maintain character identity as long as I kept their builds distinct, and with gear so much easier to acquire now, it didn’t seem like such a mountain to climb, though it still took a few days of hard grinding. At the same time, I’ve also been adjusting some of my old builds to further clarify the fantasy of each character. The fact I almost never play anything harder than elites makes it a bit easier to be creative with builds, rather than having to min/max. Essentially, I’ve decided that my Dragon uses magic and swords, so everything should focus on that. His blade/blood solo build and blood/elemental group DPS build remain unchanged, but increasingly I’m using a blood-focused build to heal rather than my traditional fist weapons (though I doubt I’ll ever abandon them completely). His new tanking build uses swords and chaos magic. My Templar, on the other hand, is a direct sort. Firearms and hammers all the way for her. This meant throwing out her old chaos/hammer tanking build for a new hammer-centric build with shotgun thrown in as the second weapon for funsies. This took quite a bit of experimentation to get right. Hammer isn’t the best main weapon for a tank, and constantly getting groups with 10.9 DPS didn’t help matters any. However, I think I’ve now settled on a set of abilities and a playstyle that’s functional, if not entirely optimal. And I do enjoy the new build. 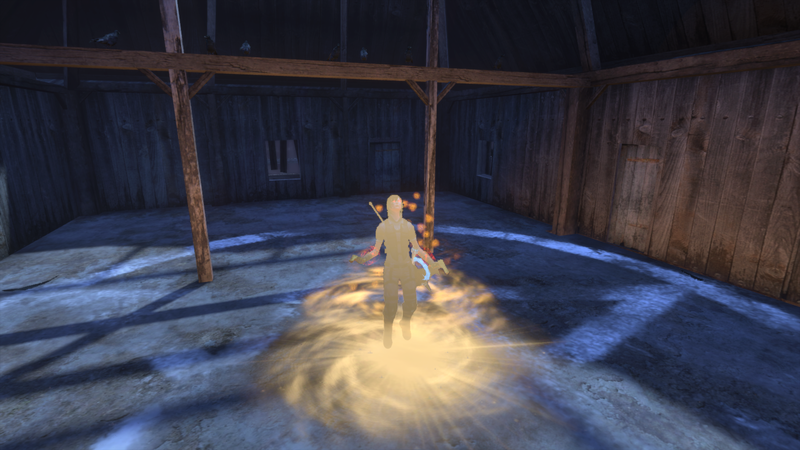 TSW’s abilities get a lot of flack for having dull animations, and that’s not entirely undeserved, but hammer abilities have a great weight and power to them. That left a healing build for her, and since I wanted to focus on guns, that meant it was finally time for me to try leeching. I’ve always been interested in leech healing, as I am in anything that hybridizes healing and damage, but the guides made it sound very complicated, and I just never found the motivation to get around to it. Until now, that is. My leech build will probably still need some polishing — I think I need more heal rating — but I have successfully healed a run of Hell Fallen elite. It’s interesting — I’m still making up my mind on it. On the one hand it’s hard to argue the appeal of keeping your group alive while also dishing out the big crits and pretty damage numbers. However, I do find AoE healing frustrating, the “oh ****” buttons don’t seem as effective as those of other healing types, and it is mainly a lot of Anima Shot spam. So much Anima Shot spam. 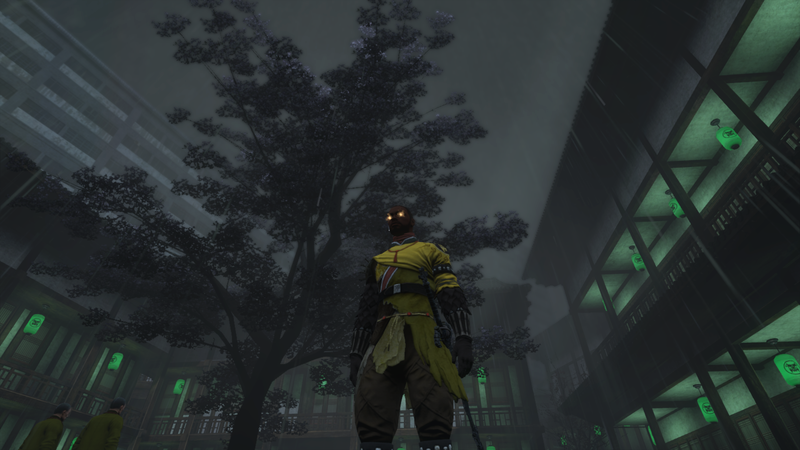 On a related note, I briefly tested my build on some random Tokyo mobs, and I was once again reminded that Anima Shot is basically the “I win” button for solo content in TSW. As my Templar continues to struggle in Tokyo, I am now strongly considering swallowing my pride and just making a solo build that incorporates assault rifles. I don’t even know how much I’ll use these new builds, but it’s nice to at least have the option, and it felt good to break out of my rut and explore the ability wheel again for the first time in quite a while. 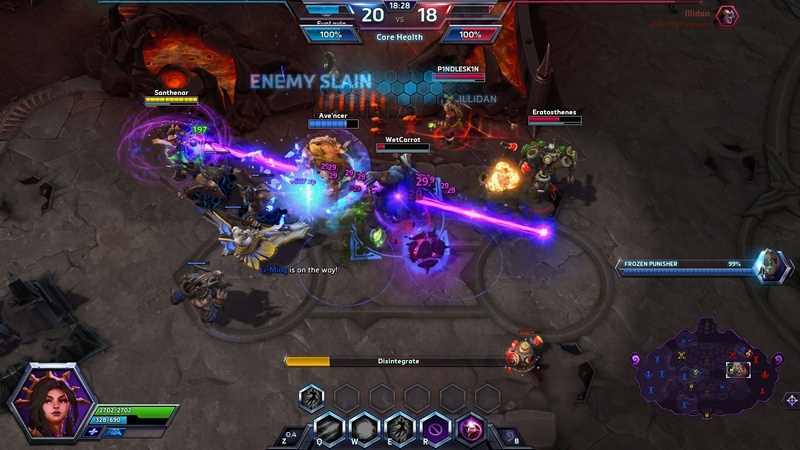 There has been much wailing and gnashing of teeth over Nova’s recent rework in Heroes of the Storm. I’ve voiced my share of frustration myself — just looking at how many cool toys she lost was horrifying, and most of the Novas I’d seen since the change struggled badly to accomplish much of anything. I was so dismayed I pretty much gave up on playing her altogether — I had never done so with great frequency, despite my fondness for the character. But then came the day when I had daily quests for playing as both an assassin and a StarCraft hero. Dreading what was to come, I reluctantly selected Nova, cobbled together a new build focused around Pinning Shot, and queued up for a match. 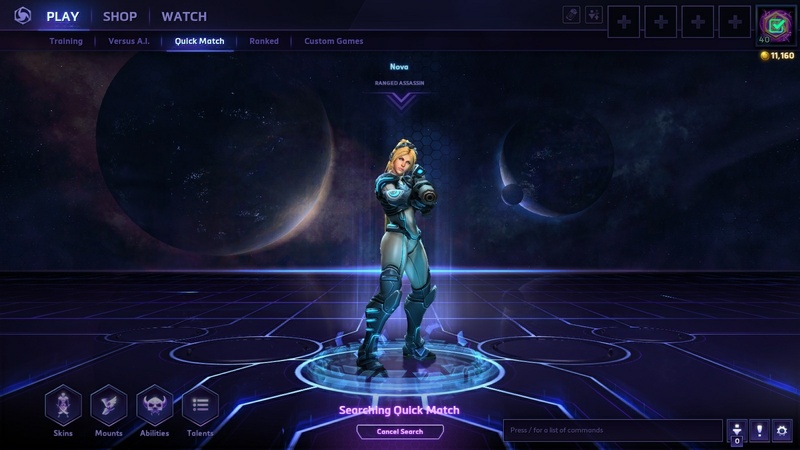 I lost my first match, but it didn’t seem to be my fault, and I still needed at least one StarCraft match, so I tried again, and things went better than expected. I went on to have one of my most dominant performances ever as Nova — or any hero, for that matter. I ended the match with a takedown/death score of 47/2. This was both more takedowns and fewer deaths than anyone else on my team, and nearly half of those takedowns were cases where I had landed the killing blow myself. 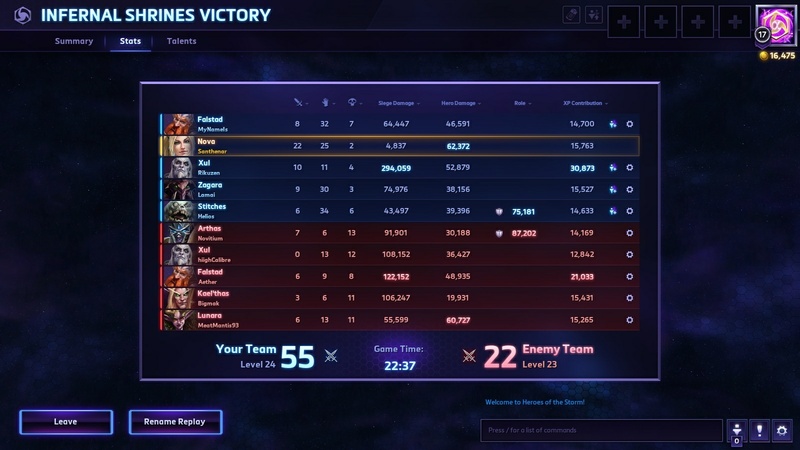 It’s not even as though the enemy team was exceptionally bad (I had a similarly dominant performance immediately afterward, but that can be accounted for by the enemy team’s Illidan feeding us easy kills the whole match). Watching them, the only obvious mistake I saw them making was that they didn’t do much to try to counter my Triple Tap. I’ve played several more matches as Nova since, and while I haven’t won them all, I have maintained a fairly healthy win ratio, had strong personal performances in nearly every match, and often dominated completely. I have no idea why this is. I’m not sure what it is I’m doing that’s making such a difference. But somehow I’m better at Nova now than I ever was before, despite the fact she appears crippled on paper. Meanwhile, with a different character but the same voice actress, I also decided to finally try this teleport build for Li-Ming that seems so popular. On the whole, though, I think I like my usual Magic Missiles build better. Safer, saner, and from what I’ve seen slightly more powerful. I will, however, take the teleport build when I get Infernal Shrines. You need all the AoE you can get on that map. Fun fact: Apparently it’s been three years to the day since I posted this. The more things change, the more they stay the same. This entry was posted in Games and tagged fantasy, Heroes of the Storm, sci-fi, The Secret World by Tyler F.M. Edwards. Bookmark the permalink.